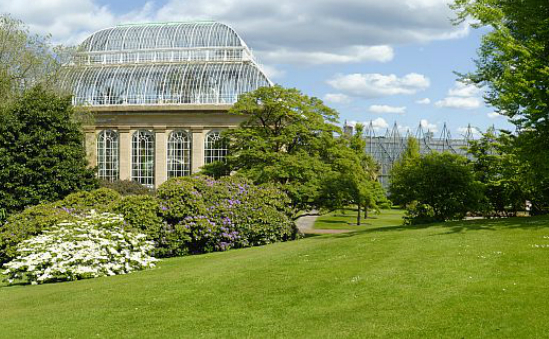 Last week I was lucky enough to be invited to present a seminar on the nettle family, the Urticaceae at the Royal Botanic Garden Edinburgh. I have been working on this group of plants for over fifteen years with various collaborators and am finally ready to publish a revised classification of the family. I had a good audience who asked some insightful questions as well as making some good suggestions for future research. You can see a pdf of my slides by clicking on the following link: Edinburgh Urticaceae 19-6. Afterwards I had a chance to talk to a number of colleagues that I would like to start collaborating with in the future. Como parte de un proyecto financiado por la Iniciativa Darwin (18-010) para apoyar la recolección sostenible de Brosimum alicastrum tuvimos la suerte de trabajar con un equipo del Millennium Seed Bank de RBG Kew. Anaïte López del Instituto Nacional de Bosques de Guatemala pasó un mes en el banco de semillas trabajando con Tim Marks, Wolfgang Stuppy y Louise Colville bajo la dirección de Hugh Pritchard, el jefe de investigación de semillas. Brosimum alicastrum es difícil de almacenar y esto ha impactado sobre su uso en reforestation en América Central. El equipo del banco de semillas emprendió una serie de experimentos para identificar las condiciones óptimas para el almacenamiento. La investigación involucró a varias conclusiones nuevas y emocionantes que estamos en proceso de publicar. Afortunadamente también identificó las condiciones que soportan almacenamiento de hasta un año. Las condiciones óptimas de almacenamiento consisten en el mantenimiento de la semilla a 15 ° C y un límite superior de humedad del 75% RH. Sorprendentemente humedad puede ser mucho más baja sin afectar a la viabilidad de la semilla. El almacenamiento a 15 ° C impide la germinación y el daño que ocurre frío abajo de los 10 ° C, donde la posterior fuga de electrolitos anima a daños por hongos durante la fase de germinación. 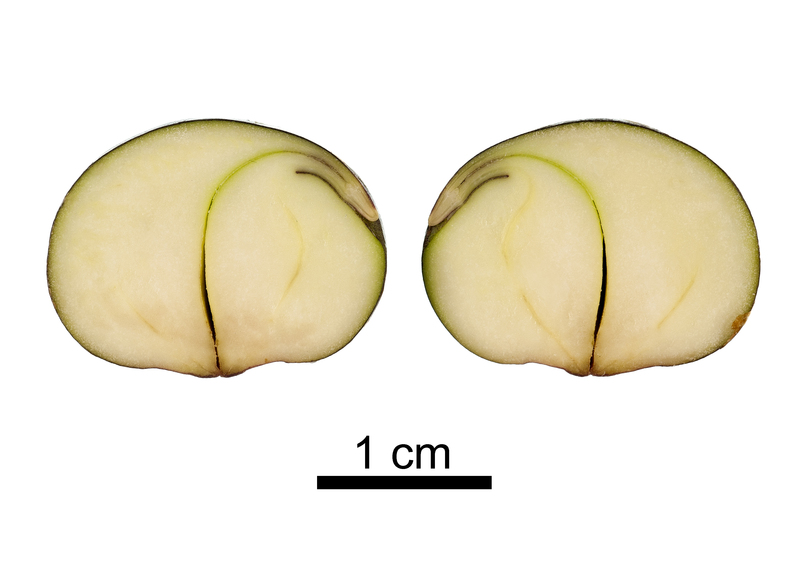 As part of Darwin Initiative grant (18-010) to support the sustainable harvesting of Brosimum alicastrum we were very fortunate in working with a team from the Millennium Seed Bank of RBG Kew. 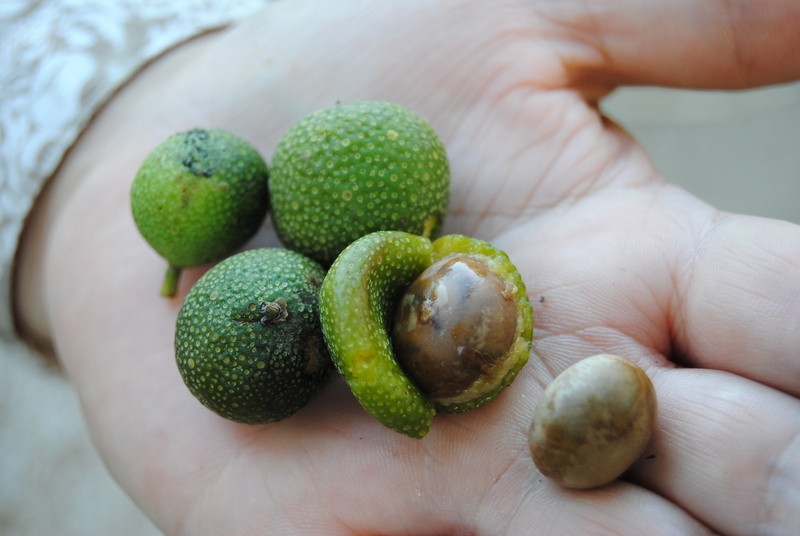 Anaíte López from the Instituto Nacional de Bosques in Guatemala spent one month at the Seed Bank working with Tim Marks, Wolfgang Stuppy and Louise Colville under the guidance of Hugh Pritchard, the head of seed research. Brosimum alicastrum is difficult to store and this has had an affect on its use in reforestation in Central America. The team at the Seed Bank undertook a range of experiments to identify the optimal conditions for storage. The research involved several new and exciting findings which we are in the process of publishing. Fortunately it also identified conditions which support storage for up to a year. Optimal storage conditions consist of maintaining seed at 15°C and upper limit of humidity of 75% RH. Surprisingly humidity can be much lower without impacting on seed viability. Storage at 15°C prevents most of the in-storage germination seen at higher temperatures, and the chill damage occurring at 10°C or below, where subsequent electrolyte leakage encourages fungal damage during germination phase. Como parte de un proyecto de la Iniciativa Darwin del Gobierno del Reino Unido (# 18-010) hemos recibido fundos para proporcionar herramientas de apoyo a la reforestación sostenible con Brosimum alicastrum. Brosimum alicastrum, conocido como Ramón, ojoche, ojite, ojushte, ujushte, ujuxte, capomo, mojo, ox, iximche, masica, uje o mojote, es un árbol común en América Central, y es bastante utilizado para reforestación. El objetivo de nuestro trabajo era de proteger la diversidad genética de la especie y el carácter distintivo genética de las regiones, mientras que al mismo tiempo permitir que sea utilizado en reforestación y restauración. Para esto hemos realizado un estudio genética de la especie a través de su rango de distribución con especial énfasis en América Central, donde la especie es más común y donde la demanda de su uso en la reforestación es mayor. Tonya Lander analizo los datos genéticos y con el uso de técnicas estadísticas pudo identificar áreas que eran genéticamente distintas unas de otras. Estos se caracterizan por líneas negras gruesas en el mapa de arriba. Le recomendamos que las semillas y plantas no se mueve de un área o zona a otra. Si se mueven de una zona a otra, una vez que alcanzan madurarse, comienzan a liberar polen y producir frutos, lo que erosionará el carácter distintivo genético de esta zona. Afortunadamente, dado el tamaño de las zonas que hemos delimitado no debería afectar en gran medida la reforestación con Brosimum alicastrum en América Central. 4) América do Sur excluyendo a Colombia. 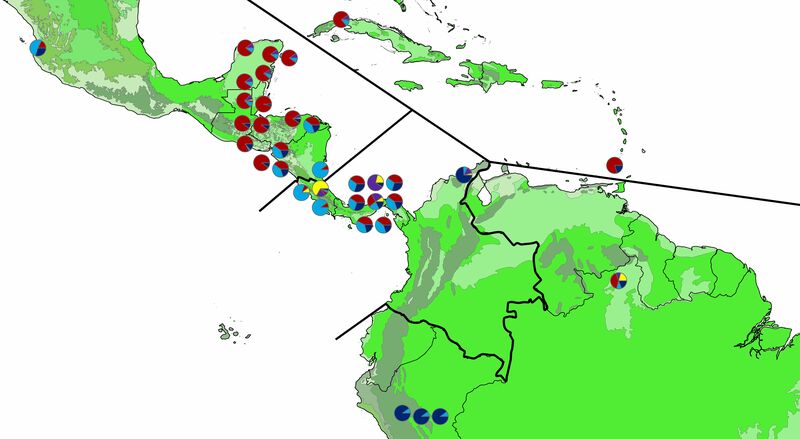 As part of a recent grant from the UK Government’s Darwin Initiative (#18-010) to provide tools to support sustainable reforestation with Brosimum alicastrum, a common tree in Central America, we have identified safe zones for seed and seedling transplantation. The aim is to protect the genetic diversity of the species and the genetic distinctiveness of the regions whilst at the same time allowing it to be used in reforestation and restoration. To do so we undertook a genetic survey of the species across it’s range but with special emphasis on Central America where the species is most common and where demand for its use in reforestation is greatest. Tonya Lander analysed the genetic data and using statistical techniques identified areas that were genetically distinct from each other. These are marked by thick black lines on the map above. We recommend that seeds and seedlings are not be moved from one area or zone to the next. If they are moved from one zone to the next, then once they reach maturity and begin to release pollen and produce fruits, this will erode the genetic distinctiveness of this area. Fortunately given the size of the zones this should not greatly impact ongoing reforestation in Central America. 4) South America excluding Colombia.